Hozier Street, off Dalmarnock Rd. 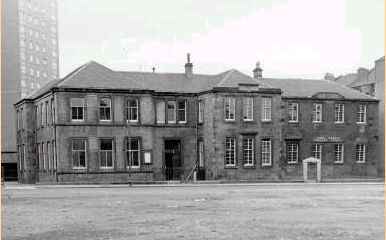 The building has been demolished and replaced by houses, the street has been renamed Queen Mary St ! "...I attended John St. Primary, from 1963 to 1967, until we moved to Canada. For years my children have heard me describe where I used to live; now I can actually show them. I hope the culture shock isn't to much for them! Thanks again, webmaster. I'll be passing this site on to my siblings and friends."